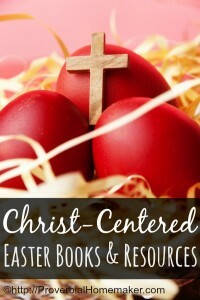 Are you looking for a fun way to review the Easter story with your kids? Our family loves building with bricks, and it is such a great learning tool as well. Our Jesse Tree Brick Challenge was such a hit this year that we decided to do another challenge leading up to Resurrection Sunday! I know you’ll enjoy the Easter Story Brick Challenge as much as we do! Our family does this Easter Story Brick Challenge each year and we love it! 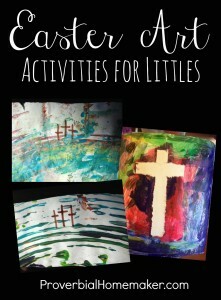 Your children will have so much fun building and creating all while learning the Easter story and focusing on Jesus. 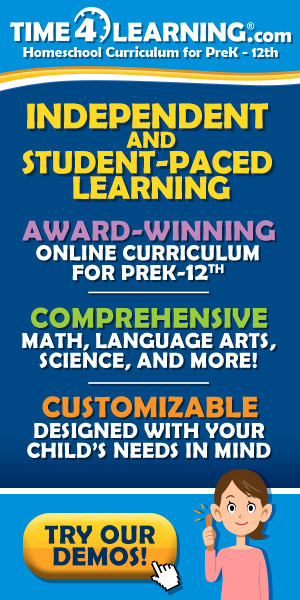 Additional challenges listed for after Easter if your kids ask for them! I prefer not giving my children pictures of builds to look at unless they’re really stuck. 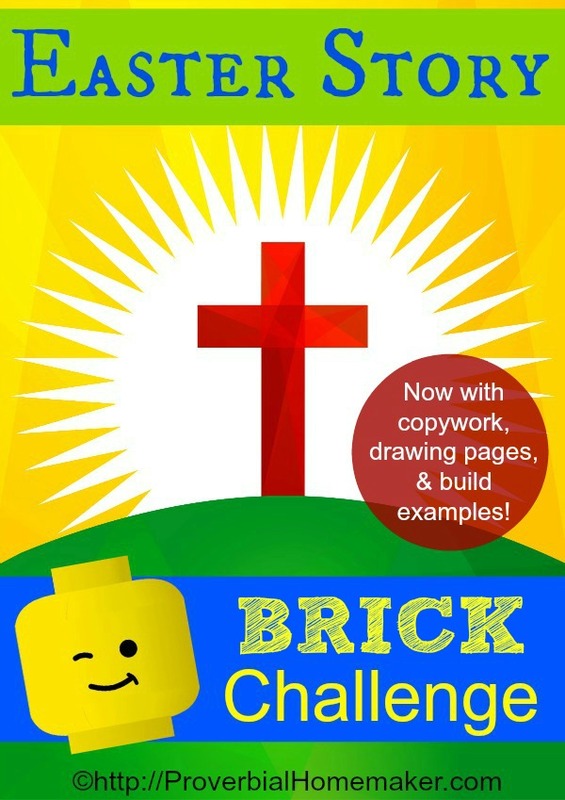 You can go online and find pictures or use the handful of example photos in the Easter Story Brick Challenge document to give them ideas and spark their creativity. Although following instructions for a specific build project is fun and valuable, in our home we’ve come to believe that a good brick challenge isn’t the right place for it! Three crosses on calvary hill. Son: “I wasn’t sure how to make a hill, so I thought I could just gently bend this board, like this.” Perfect! Start Your Easter Story Brick Challenge! Let them use their creativity. Look at pictures from a children’s Bible if they need inspiration. Amazon has great deals on LEGO sets and parts! You can often get a pound or two of pieces for a low price, not to mention all the fun sets available! Craigslist and ebay can also have good finds. If you’re strapped for time or cash, consider adding non-brick materials to complete the scenes. Leaves can be palm branches, paper cutouts can be people, farm animals can be added, etc. Someone also recently told me about BrickLink.com, a place where you can buy individual parts and bricks. Pretty cool! So excited to do this Easter lego challenge with the kids. They all love legos! 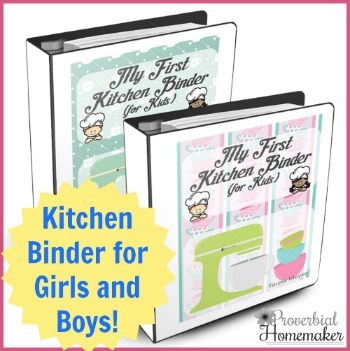 What a great way to use something they love for teaching! Wonderful! Hope your family has a wonderful week! 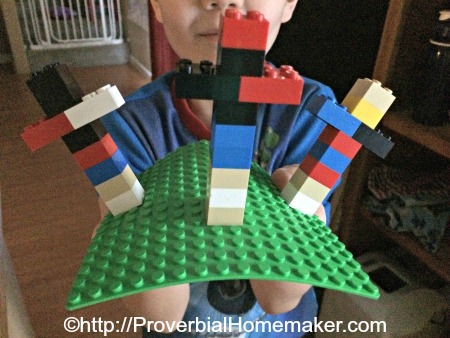 Hi Tauna, I just want to take a moment and thank you so very much for this Easter Lego activity idea. It really meant a lot to our family. I am extremely uncrafty and would have never thought to tell the children to make something out of Lego’s that represented Easter. This year was the first year for our family that there would be no candy involved at Easter. My son is on a special diet and can not have sugar any longer. While I always look for ways to glorify God, and especially at Easter, I was very concerned my children would miss our family Easter egg hunt in our yard. Thank you SO much Heather for taking the time to tell me all this! I absolutely love it and got a bit teary eyed thinking it could have been that useful to another family. I am so glad you had a good Easter! I would love to see your kids’ creations! 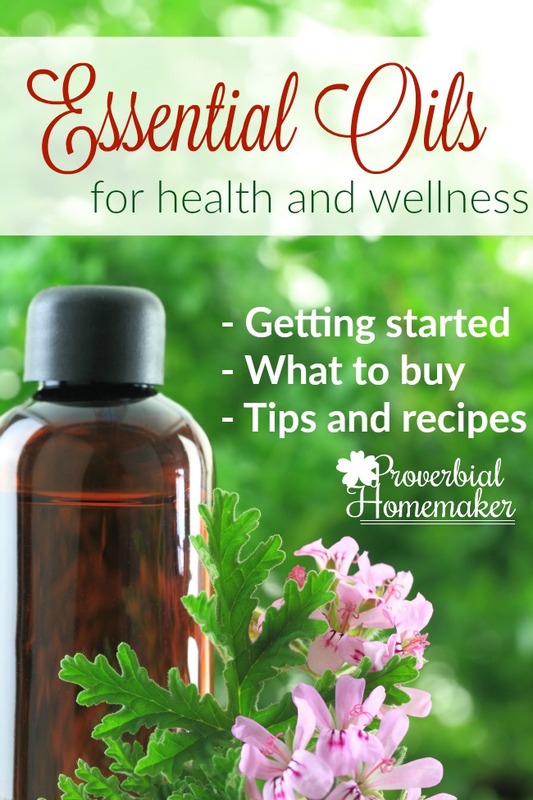 Feel free to send them to proverbialhomemaker@gmail.com. Thanks! 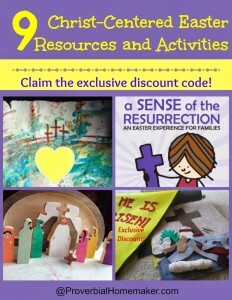 I am looking for the free easter build not the one with additions and printables. I am having trouble finding it.